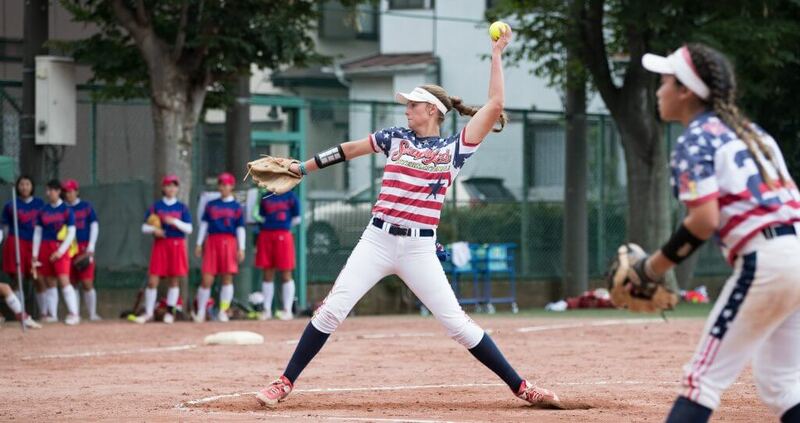 Emiley Kennedy in action last year as the ScrapYard Internationals traveled and competed in Japan. Remember the name Emiley Kennedy. 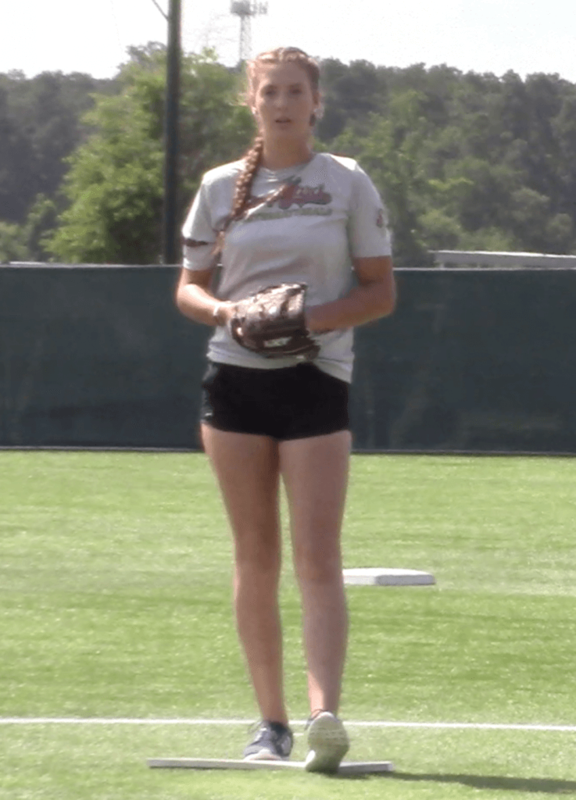 The 6-foot-2 lefty pitcher from Texas recently made our Extra Elite 100 list (Top 20) and she’s definitely one to watch as she’s only been pitching for a few years, but has all the tools to be a great one. 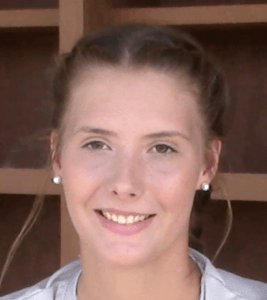 In our special spotlight feature today, you’ll learn about Emiley’s late start in softball, what her tie-in is to another great tall lefty pitcher from Texas, Cat Osterman, and what hard rock song she has to listen to before she takes the field! Stats: as a high school freshman in 2018 went 12-5 with a 1.82 ERA, 116 K’s in 104 innings, opposition hit .194 against her. I am extremely honored to be considered as one of the top 100 players in my class. I have been working hard every single day on improving my skills and growing into the athlete I dream to be. What’s been your favorite experience in softball so far? It would have to be my last high school softball season because as a freshman I was able to earn the role as starting pitcher and was given the ball in the toughest of situations. Emiley, seen here last summer working at at the Scrap Yard Complex in Conroe, Texas, says she works to stay even-keeled in the circle. I never change my attitude while pitching based on what is going on. I could be pitching the worst inning of my life and you couldn’t tell it by my face. I am also always open to new challenges and if I don’t know how to do something, I will do everything I can to learn it. Have you set goals for yourself for this year? My personal goals are to become the best athlete and person I can be. My pitching goal is to throw 70 mph with controlled spin and movement. I am almost there. I always have to listen to Bad Company by Five Finger Death Punch before every game I play. I believe that you can never stop getting better, smarter or greater at something--there is always room to grow. Persistent… no matter what is happening or the task at hand, I will always strive to do my best. What worries you most about your generation as you move into the future? We are on electric devices too much and aren’t aware that everything you put out for the public to see no matter how fast you take it down, someone can go and find it. Kids need to be more aware of what they say and do and know that everything you do affects your future. Kids need to interact more face to face instead device to device.